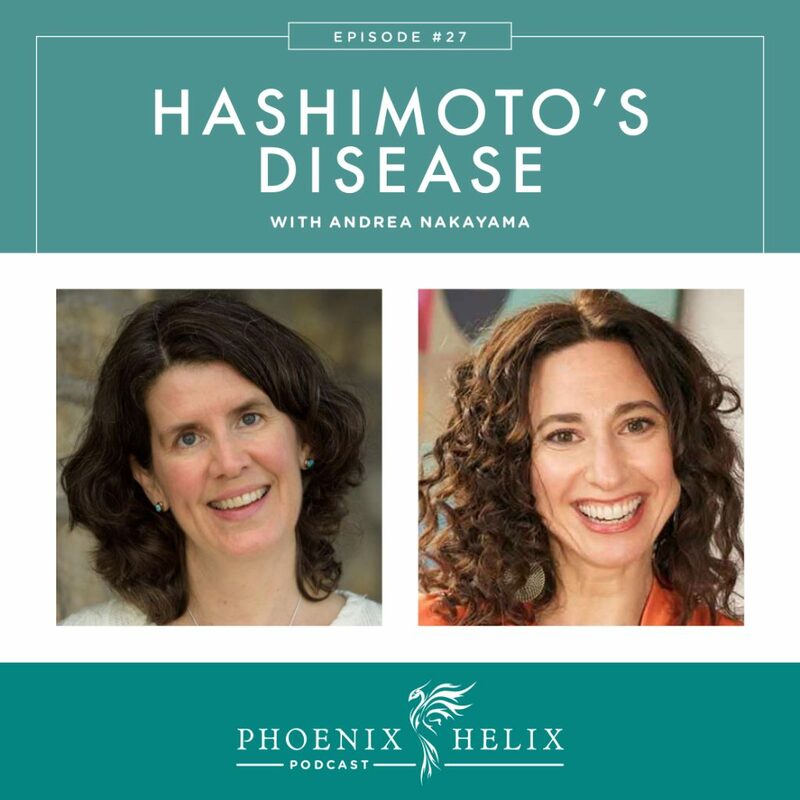 Andrea Nakayama is a woman living with Hashimoto's herself, who is also an expert in the field professionally. What tests are included in a complete thyroid panel? How do we find a good doctor? How do we manage our ever-changing symptoms in a way that feels empowering, rather than disheartening? Even if you don't have thyroid issues, this show is worth a listen. A surprising number of symptoms can have undiagnosed thyroid issues at their root. 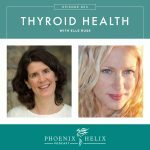 We also discuss her upcoming free webinar on September 19th: The Butterfly Effect – Harnessing Thyroid Health Beyond Medicine, and her online course that starts October 1st: The Girls Guide to Hashimoto's. The recipient of the National Association of Nutrition Professionals' 2015 Impact Award, functional nutritionist and educator Andrea Nakayama (CNE, CNC, CHHC) is leading thousands of clients, students, and practitioners in a global nutrition revolution focused on reclaiming ownership over one's own health. Through Functional Nutrition Alliace (formerly Replenish PDX), she helps chronically ill people chart their path to recovery, and in her school for practitioners, Holistic Nutrition Lab, she teaches clinicians the science and art of a functional nutrition practice. She has Hashimoto’s herself and is an award-winning functional nutritionist, who understands personally and professionally how food can be medicine. She’s also a world-renowned educator. She co-produced the online Hashimoto’s Institute last year, and has a program starting this October called The Girls Guide to Hashimoto’s. 100,000 downloads in the first year. An average of 4,000 listeners per episode, with that number growing exponentially. If you haven't had a chance to leave a review on iTunes, that's a beautiful way to support the podcast. Her husband was diagnosed with brain cancer in 2000, and she was 7 weeks pregnant at the time. He was given a 6-month prognosis, and they didn't expect he would live to see their son born. With a combination of alternative and conventional medicine, he lived for 2-1/2 years. Stress, trauma and hormone changes are all triggers for autoimmune expression. She started experiencing a range of small symptoms and she simply knew “something wasn't right”. After seeing numerous practitioners, she was eventually diagnosed with Hashimoto's. Because she had changed their diet to support her husband's health, she received that benefit herself and believes it kept her autoimmune onset from becoming more severe. Hashimoto's is an autoimmune attack on the thyroid. It affects thyroid hormone production, which in turn affects every cell in the body. That's why symptoms can be so diverse: anxiety, bloating, body aches, brain fog, depression, anxiety, hair loss, dry skin, eczema, weight issues, frequent infections, hormone imbalances, insulin resistance, nutrient deficiencies, anemia, low vitamin D, fatigue, and many more. These symptoms aren't always thyroid-related, but they do warrant thyroid testing to see if it's the cause. Most people with fibromyalgia have Hashimoto's and many don't realize it. 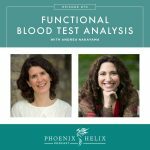 2-hour webinar where Andrea teaches you how to map your signs and symptoms on a functional medicine matrix. It's an interactive format. You have the option to ask questions during the class. TSH (thyroid stimulating hormone which shows what's happening in the brain). Free T4 & Free T3 (free hormones are the ones that are available to our cells to use as needed). Reverse T3 (shows how hormones are being bound and used by the body). TPO & TgAB (antibodies that diagnose Hashimoto's). B12 levels via serum methylmalonic acid (shows the useable form of B12). Ferritin (shows the useable form of iron). If your doctor refuses to run these tests, try to find one who will. Resources: Directories of Functional Medicine Practitioners and Paleo-Friendly Autoimmune Specialist MDs. You can also order your own labs online via Direct Labs. It's important that we don't bring our frustration and anger into the doctor's office. It puts doctors on the defensive, and a power struggle often results. Respect the knowledge they have to offer. Share what you have learned and ask their opinion. You are seeking a professional relationship where there is mutual respect, and you are both willing to listen to each other. When you interview a new doctor, share your history, what has and hasn't worked for you in the past. Tell them that you're looking for a partner who can help you manage your autoimmune disease at the root level going forward, and who is open to trying new things if the standard protocol doesn't work. Don't expect your doctor to “fix” you without your help. It's a puzzle for you to solve together. Once autoimmune disease get's triggered, it's part of our body forever. There isn't a “fix”. That doesn't mean we can't live healthy and full lives. It just means that we have to get to know our bodies and their changing needs. Autoimmune symptoms are dynamic and respond to everything from food to stress to hormones. The dance is about pivoting our self-care practices as needed, whenever our symptoms shift. Catch a flare when it's a spark, before it becomes a fire. It's a dance with Self. Learn about your “mediators” – the things that make your autoimmune disease better, and the things that make it worse. Andrea, for example, experiences more autoimmune symptoms when she travels. So, she takes extra measures to limit the negative impact and build up her reserves; this is especially important since she travels regularly. 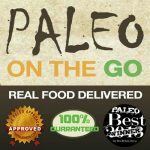 Resource: Podcast Episode 25: Paleo Travel. Stress is part of life. Resilience is the ability to manage stress in a healthy way. A big part of doing this is getting to know and understand our bodies, and addressing the root causes of our autoimmunity. This builds up our inner resources to weather the storms of life. The course format is multi-layered and includes written materials, an online discussion board, guided action steps, weekly Q&A's as well as weekly video and audio lessons. It's a very hands-on, interactive class. You're also taking this class along with others struggling with the same issues, which creates a community of support, alongside the education. Some of the topics covered include: the physiology of the thyroid, the digestive system, the impact of gluten, the process of inflammation, adrenal health, brain health, and toxins. The course also includes “Hashi 911's.” Students can apply for a free 1:1 session with Andrea that's recorded and shared with the group, giving everyone the chance to see professional troubleshooting in action. Eileen (Phoenix Helix) will be answering questions about the paleo autoimmune protocol during one segment of the course. Replenishpdx.com/phoenix is a link that today redirects to the free webinar on 9/19: The Butterfly Effect – Harnessing Thyroid Health Beyond Medicine. When that class has passed, the same link will take you to The Girls Guide to Hashimoto's. Once registration closes for the class, the link will take you to a waiting list, where you can sign up to be notified for next year's class. Update 2017: This class in now available as a homestudy class. Learn more here: Hashi Companion. This is a huge piece of Resilience. There are many beneficial mind-body techniques. Meditation isn't the only way. The question is: What brings you to a relaxed place? We want to go there regularly. Resource: Episode 24: Mind-Body Podcast with Donna Jackson Nakazawa. You can keep up with Andrea's work through her website. To sign up for the free webinar or the 8-week class, go to Replenishpdx.com/phoenix. 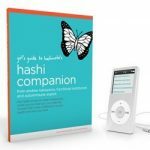 (Update 2017: She now has a homestudy version of this class: Hashi Companion). She also also other classes throughout the year: Estrozen – managing estrogen dominance. You're Not the Boss of Me – managing blood sugar. As well as homestudy programs available year-round: Sweet Tooth Bitter Truth, and Your Vibrant Child. Lastly, she offers practitioner training through the Holistic Nutrition Lab. If you would like to work with her team 1:1 on your own health journey, email support@replenishpdx.com to be put on the waitlist.